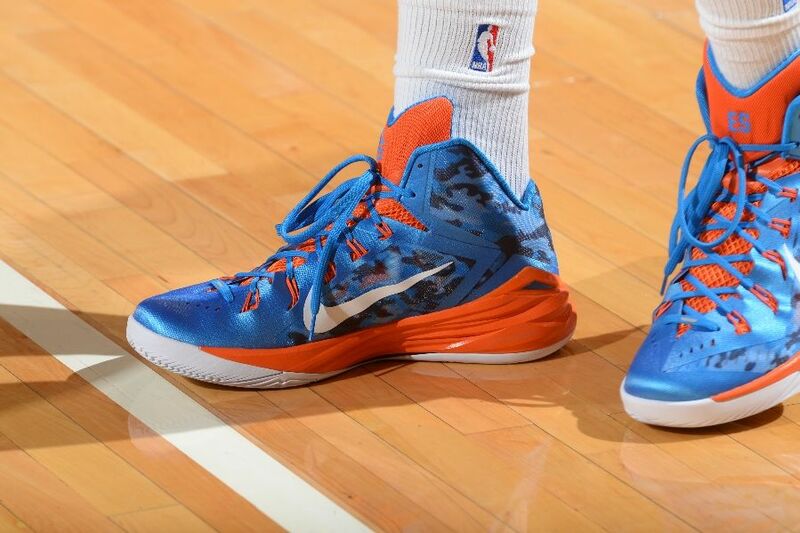 You can also buy a pair of your own. 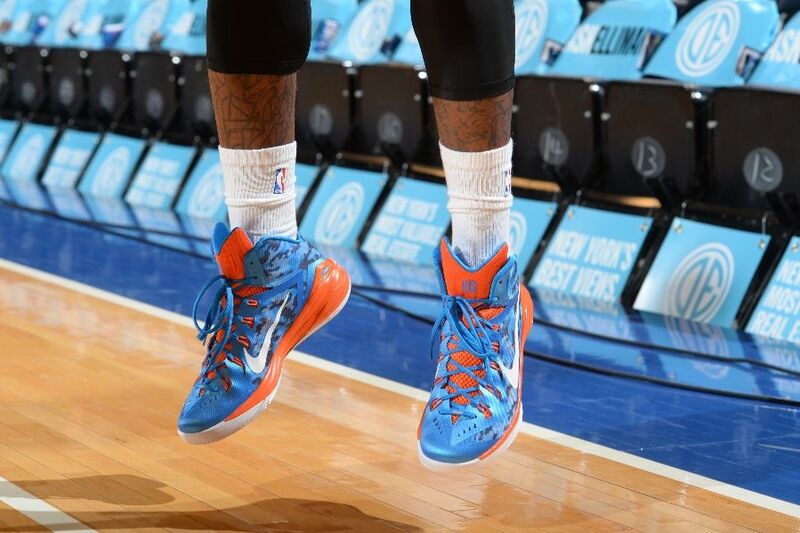 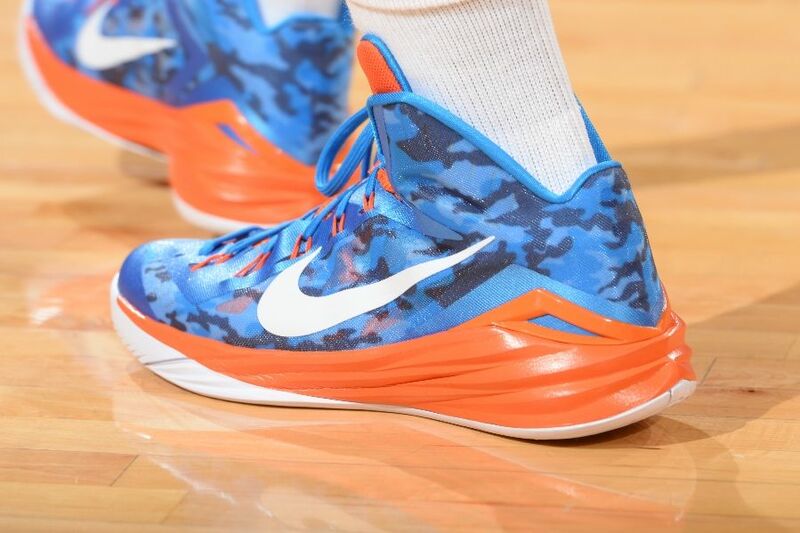 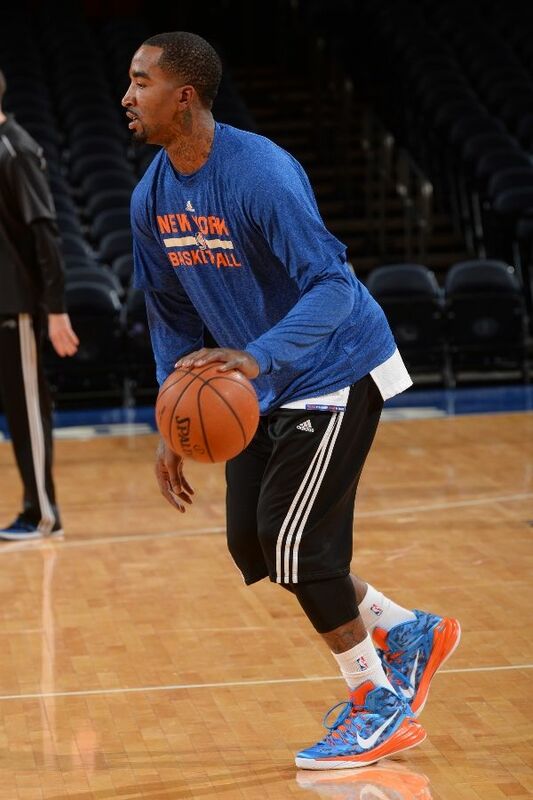 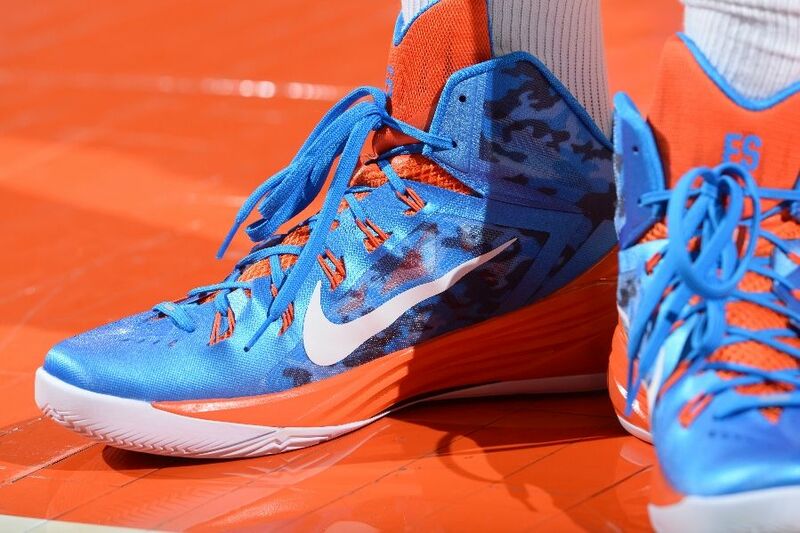 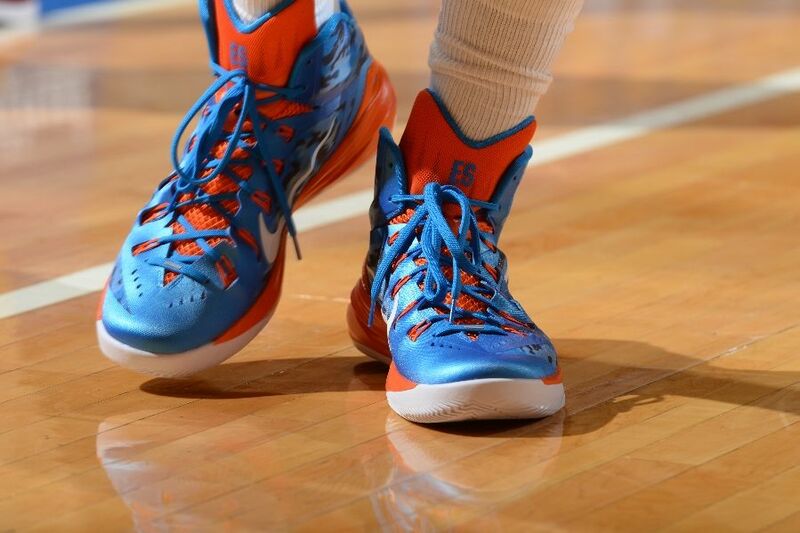 In memory of his grandfather Earl, a veteran of World War II, New York Knicks guard JR Smith wore this ‘Camo’ Nike Hyperdunk 2014 PE in tonight’s game against the Orlando Magic. 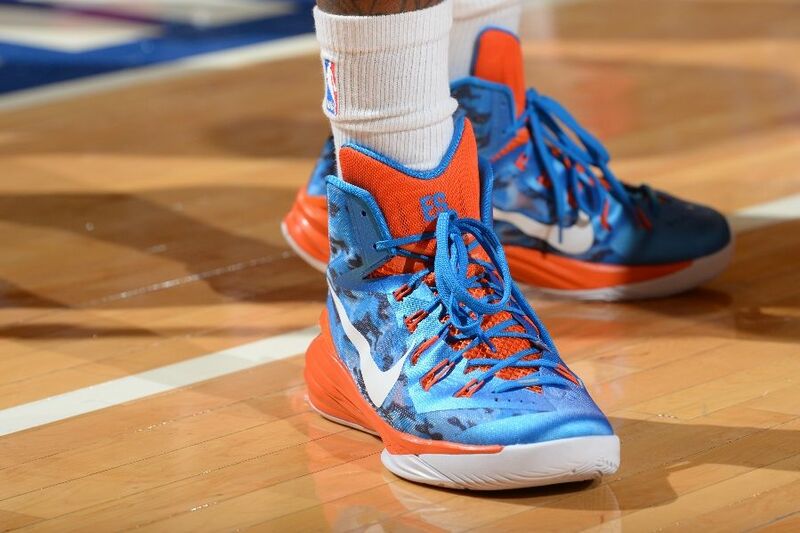 The kicks feature a Knicks-inspired blue camouflage upper, white and orange accents and the initials ‘ES’ on the tongue. 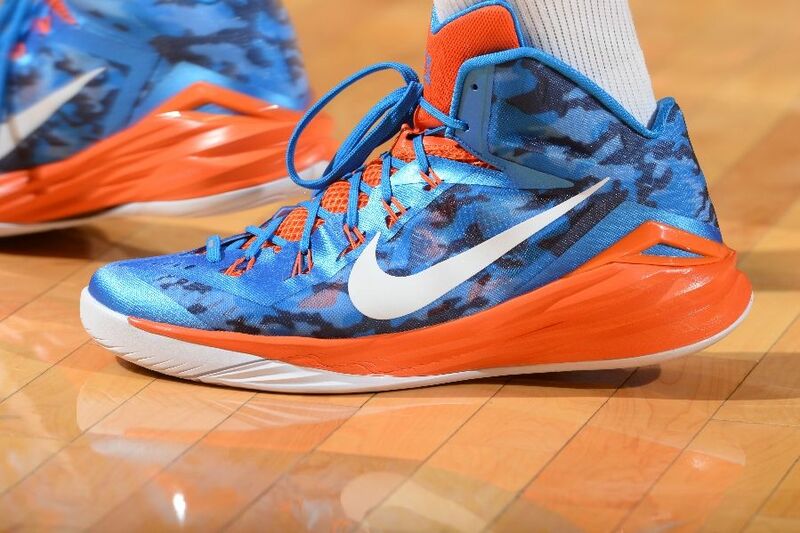 If you like what you see, you actually iD a pair of your own for $185 at nike.com.